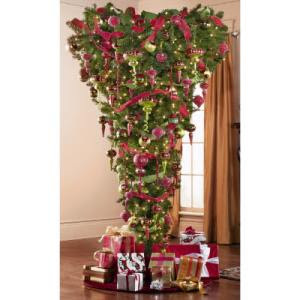 This upside down Christmas tree thing is popular now. Not really my thing. I had heard about those upside down trees. Not something I'll ever do. Oh my gosh! I saw those wonky xmas trees a few years ago & they are really becoming popular. I don't get it either.